Please join me for the opening reception of The Fine Art of Re-Invention at the Gibson Centre, on Sunday April 29th! This show features some new and old work, curated by Sean George to respond to the Gibson's unique exhibition environment. This show is a bit special because it will feature the Convenient Typer, which has not been re-exhibited since all the way back in 2013. 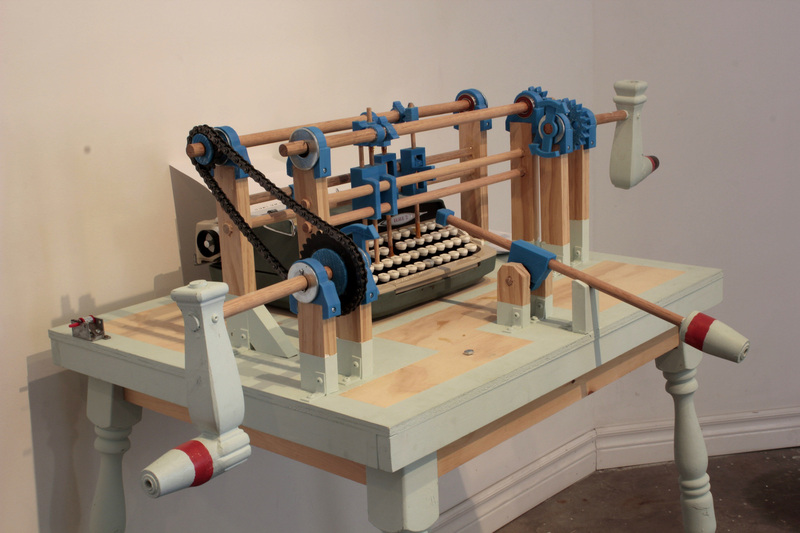 The Convenient Typer is an interesting piece, as creating it helped to define my current aesthetic, and initiated an ongoing interest in music boxes. I would like to acknowledge funding support from the Ontario Arts Council, an agency of the Government of Ontario.